In the old district of Quiapo, Manila, San Sebastian Church stands tall and magnificent, as if it knows its prominence in history. San Sebastian Church is an all-steel edifice, the only such church in the Philippines and one of the few structures in the world to be made almost entirely out of metal. 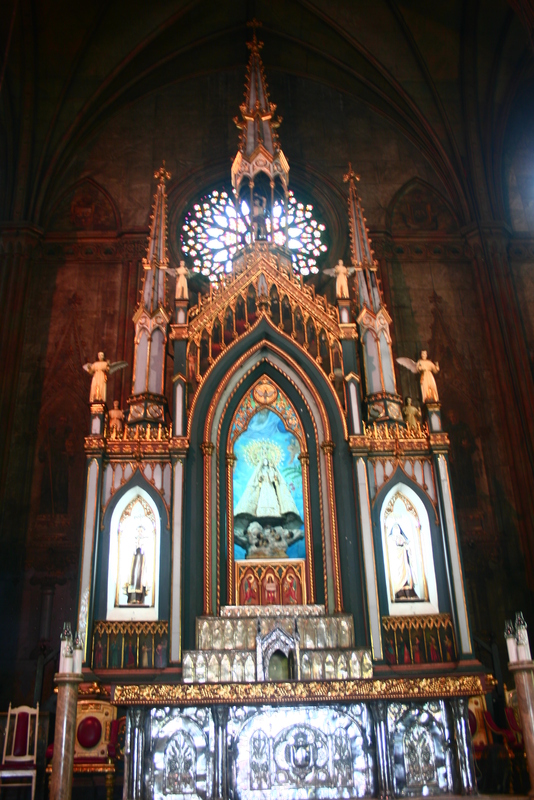 Its neo-gothic architecture is also unique at the time when baroque structures were more favored during the Spanish colonial era of the Philippines. In every aspect, it is a work of art. 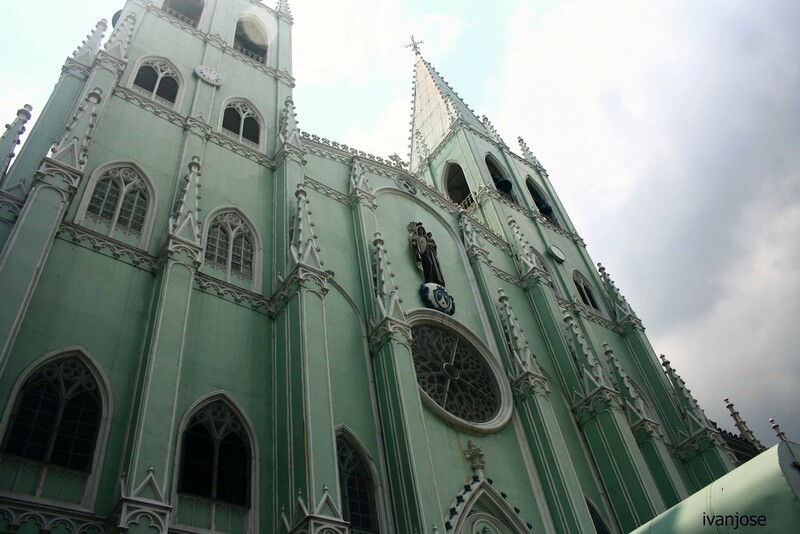 As early as year 1611, older churches built by Recollect friars stood at the present site of San Sebastian Church. 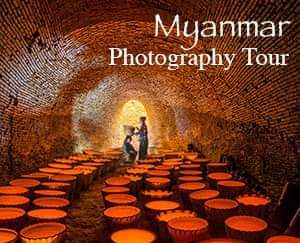 However, these were destroyed by fires and earthquakes subsequently in 1859, 1863 and 1880. In the 1880s, then parish priest Esteban Martinez approached Spanish architect Genaro Palacios to design a church that could withstand fire, earthquakes and other natural calamities. The solution was to build an all-steel structure that can defy the elements as well as the test of time. Pre-fabricated steel segments were manufactured in Belgium, shipped to the Philippines and assembled by Belgian engineers. The stained glass windows, meanwhile, were ordered from Germany. The church was solemnly blessed on August 16, 1891. 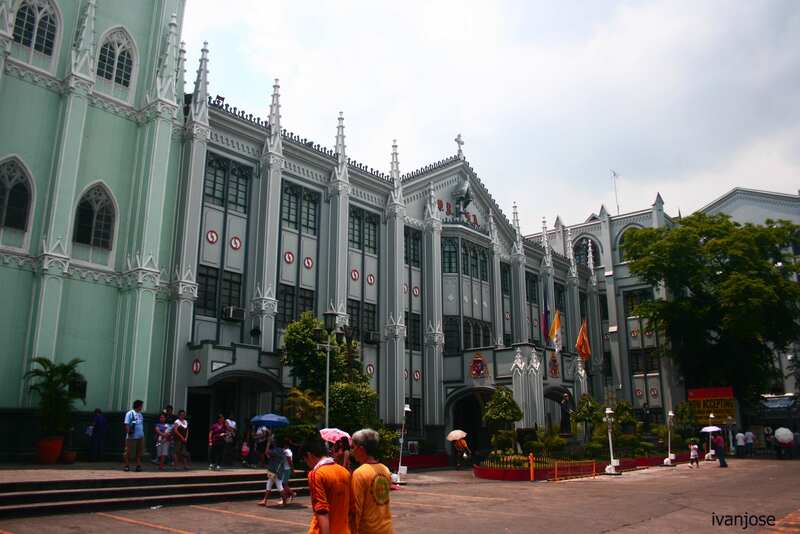 San Sebastian Church was included as one of the National Shrines, Monuments, and/or Landmarks in President Ferdinand Marcos’ Presidential Decree No. 260 in 1973 and a National Cultural Treasure by the National Museum of the Philippines on August 15, 2011. 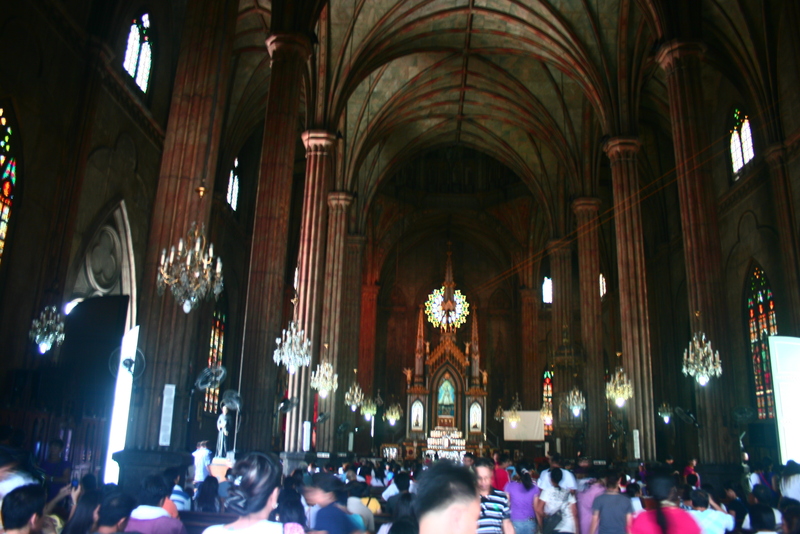 To reach San Sebastian Church, we boarded a Quiapo-bound van and alighted at Morayta Street. From there, we walked all the way to San Sebastian Church. Alternatively, you can take LRT 1, alight at Central Station and ride a jeepney bound for San Miguel, Quiapo. You may ask the jeepney driver to drop you off in front of San Sebastian Church. Hi! Have you tried joining on their church heritage tour? Hello, not yet but I am interested to join a walking tour around old Manila. I believe it includes San Sebastian Church. 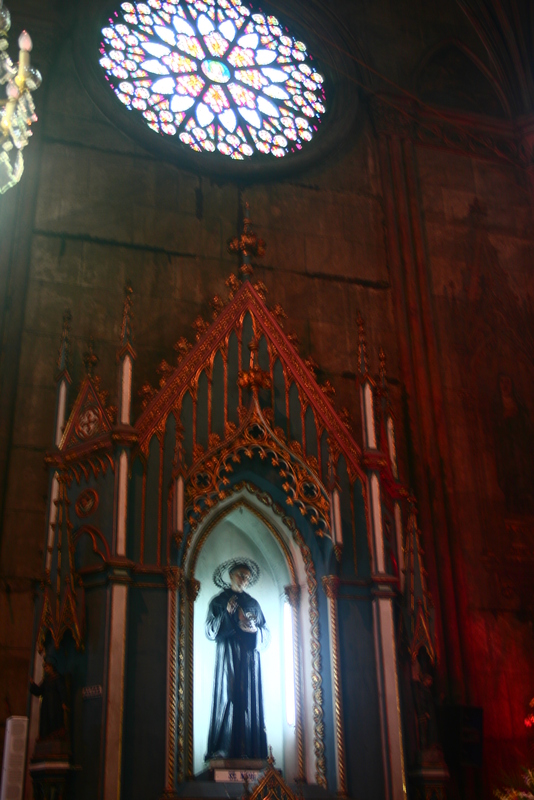 But I have heard that there's a dedicated tour for San Sebastian Church alone.